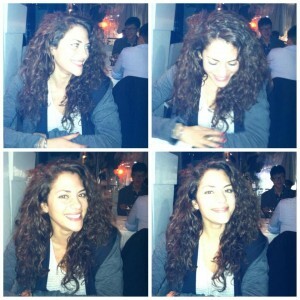 The beautiful Inbar Lavi stopped by again to get her hair colored done by none other than Batia. The color Inbar currently has is Medium Redish Brown. It’s a great color specially in this chilly season. For amazing curls we used the Batia and Aleeza Hair Shampoo and Conditioner. To finish this look you’ll need to apply Batia & Aleeza Sculpting Gel and diffuse or let it naturally dry. These products can be found in our online store and at the Hair Salon Location!